Everyone needs a good "Over the Hill" party. These invitation and thank you cards, envelopes, and party hats are just the beginning of this party pack. And you can download these for a 30th, 40th, or 50th birthday party. 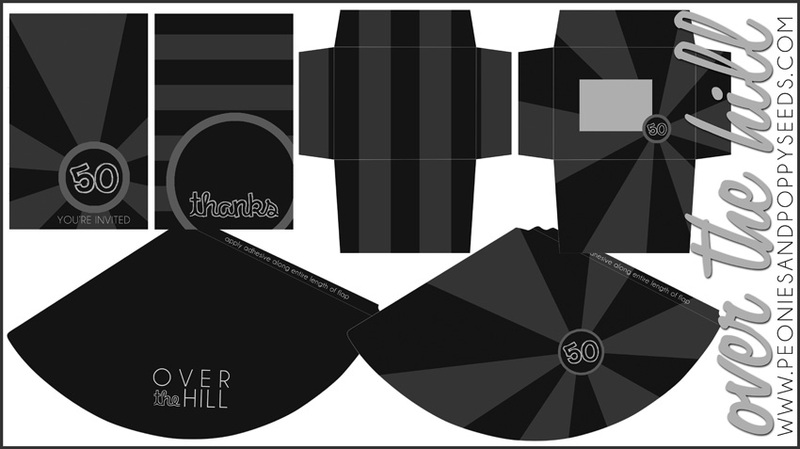 And don't forget to check out the rest of the Over the Hill Party Pack coming later this week!